I have to tell y'all about another product that I'm loving lately from May Designs. I recently got a Menu Planner from them when they had a 50% off deal going on. I've used it for a couple weeks now and it's been SO helpful. You can kinda tell how big it is in my next picture compared to my hand. But then again I also have very small hands, haha. But it's a good size - perfect to throw into my bag or even to put in some sort of binder or notebook. Super light, not too thick. The binding is even sewn by an actual sewing machine, which I love. It will hold up through many weeks of use! Okay so these pictures are taken with my iPhone, so not the best quality, but here you can see the layout of the Menu Planner. 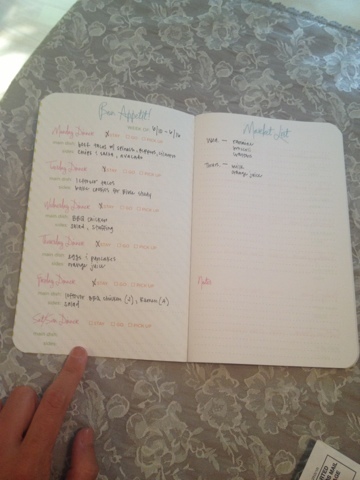 On one side of the spread are the days of a week listed. You can check that you are staying, going out, or picking up. Then you can put your main dish, and below that you can write your sides. 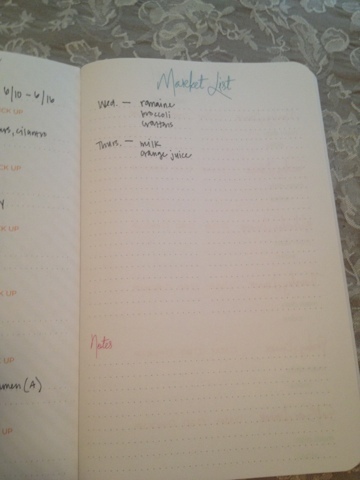 On the other side is where you list what you need from the store, or put any notes that you may need to add. I LOVE this layout - it's why I decided to get one (apart from the extreme cuteness). 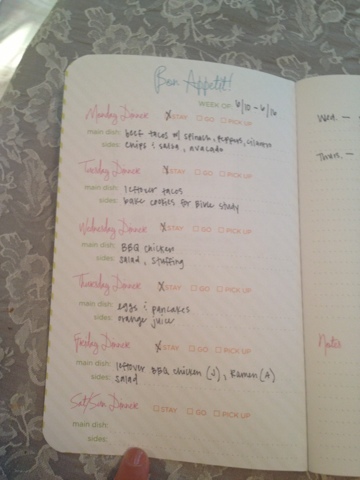 I know a lot of people plan meals in their day-to-day planner, but I like to have it separate. It definitely works for me. It includes exactly what I need while keeping it simple. And it's the same on every page. 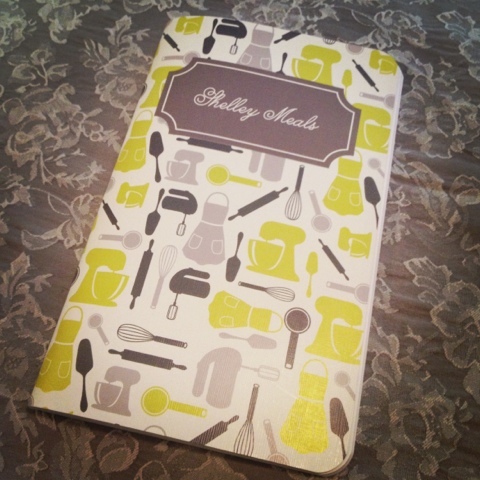 May Designs has a lot more than menu planners though - you can personalize all kinds of things like monthly planners, weekly planners, pregnancy diaries, baby diaries, wedding diaries, address books, budget journals, fitness journals, or just plain notebooks! They also have a line of notes/stationary. With personalization and specified pages they are $20 each. The 50% sale was one day only (after they were on Good Morning America! ), but they do run specials now and then. You can follow them on Twitter or Instagram @MayDesigns, or like them on Facebook to be notified of news and deals. Although this post is going on two years old, THANK YOU for posting photos! I've been on the hunt for a good meal planner and have been eyeing up the May Designs notebooks. They're beyond adorable, but the images showed up so insanely bright on my computer than I couldn't tell what the actual pages looked like. :) I'm thinking this is exactly what I was looking for!